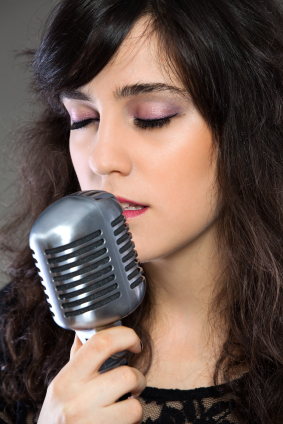 "How to start Prepping the Voice"
How do I get my voice ready for singing? There are several things that I almost always have to do before my voice will let me sing (and not just croak out or force a tone). I need tone to flow with relative ease because of the daily demand I face. So I rely on a routine. The steps I take (including the singing exercises) rarely change. Before I begin to exercise there are a couple of other things that I have to do. Personally, I have to eat something. Usually something cooked (like oatmeal--with soy or rice milk and honey, or eggs with hot sauce). And...I'm known for my lovely little herbal tea addiction. This is not an addiction to something like caffeine or nicotine. It's more like being addicted to water or vegetables. This one healthy habit shortens my vocal warm up time by more than half. The herbal tea I use (Calli tea) also clears out the gunk in my sometimes atrocious morning voice. I want that golden, glorious tone quality that every singer wants, but with my teaching schedule, I need it *NOW*. Unlike a piano (with it's relatively predictable tone), I'm a human instrument. I'm an instrument with a nervous system, muscular/skeletal system, and a chemical balance that shifts daily. Throw in a nice mix of human emotions and this instrument of mine requires that I have a couple of secret weapons. My 'magic juice' (Calli tea) is one of those secret weapons. It has kept my voice mostly consistent for the last 17 years. And because my method requires not only diagnostics but demonstration, just like you during a performance, I can't afford to miss (or even "coast"). Though I can and have warmed up at times without my Calli, I've learned that I'd rather live with ease than with difficulty. Now for my other secret weapons. If you're about to run a couple miles, you know you'd better stretch your muscles first. Likewise with your vocal cords. The most certain and safe way to warm up the voice is with an exercise I teach in my Method called "lip rolls". They are done by pooching out the lips and making the "horse lips" sound, but with tone. If you are especially sensitive to the morning hours (like me)...I recommend and use an exercise I call the "squeaky edge tone" to get going. Your body automatically does this sound when you first wake up and speak. Get that "groggy 2-year-old" sound (think Elmer Fudd) and sing that sound on an octave scale or even just one long sliding tone from low to high and back down again several times. You'll find that it's very soothing. Then after that, I move to straight humming on an octave scale. After humming through my range, I go to "mum, mum, mum" (like the exercise in my program ). By the time I'm done with these, I'm usually pretty solid and ready to go. This is my routine. I recommend you try it as is. It's great before singing anything demanding and works great for mornings (especially before Sunday morning worship). Humming is not only great for warming up in the early morning hours...it's great for warming down after a hard day or night of singing. Now that my voice is in pretty good shape, the other exercises in my Method are usually 'as needed' depending on my day or my weakness/strengths. READY...EXERCISE THAT OTHER STUFF TOO! Lastly, I HIGHLY recommend whole-body exercise. I know one could argue that this doesn't fall under "prepping the voice," but it IS truly foundational to powerful singing. I'm addicted to physical exercise too. Again, at least it's better than whiskey. The resulting feeling of effortlessness that comes to my voice is only one of several obvious benefits. My friend and personal trainer, Kent Caudill, has taught me to prefer interval training. Both physical speed and endurance have been the results. Whatever form of exercise you choose, I believe sheer intensity is what gives superior results when you do any physical training. Interval training means simply "changing it up" with a variety of stresses on the body. My regimen consists of a different set of exercises on different days: 1/4 mile intense runs, 100 meter sprints, running stairs, hills, trails, and weight training for strength. My training and the nutritional products I eat have me running a faster 100 meter sprint at age 40 than when I was in High School! I physically train about 4 days a week. Hey, whatever doesn't kill you makes you stronger. 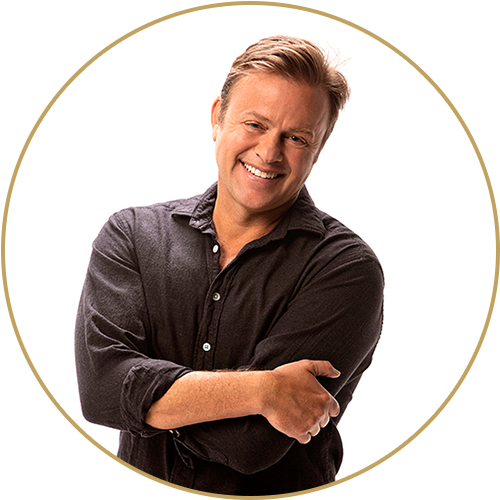 Brett Manning is one of the most sought after vocal coaches in the industry. He has worked with many top artists such as Hayley Williams, Taylor Swift, Keith Urban, Miley Cyrus and many more.